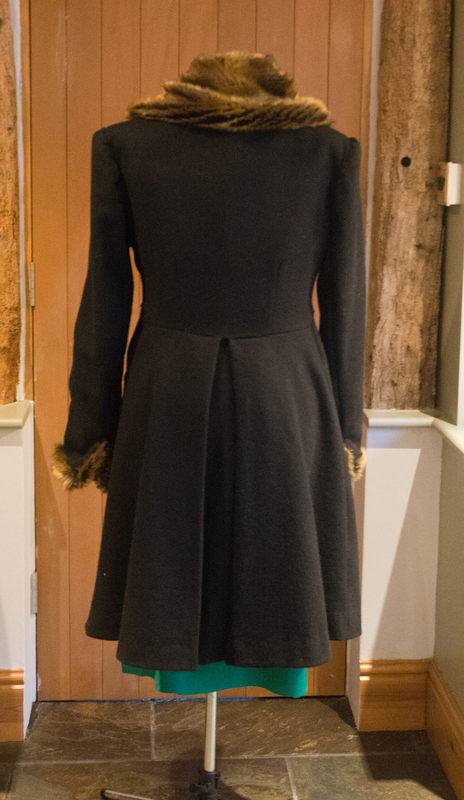 Emma sent in a pic of the winter coat she made – She bought the fabric AGES ago (her words- all of five months – that’s not ages in our book) as she thought it would take a while to make this coat. And it was indeed quite time consuming! She used a vintage 1950s pattern. 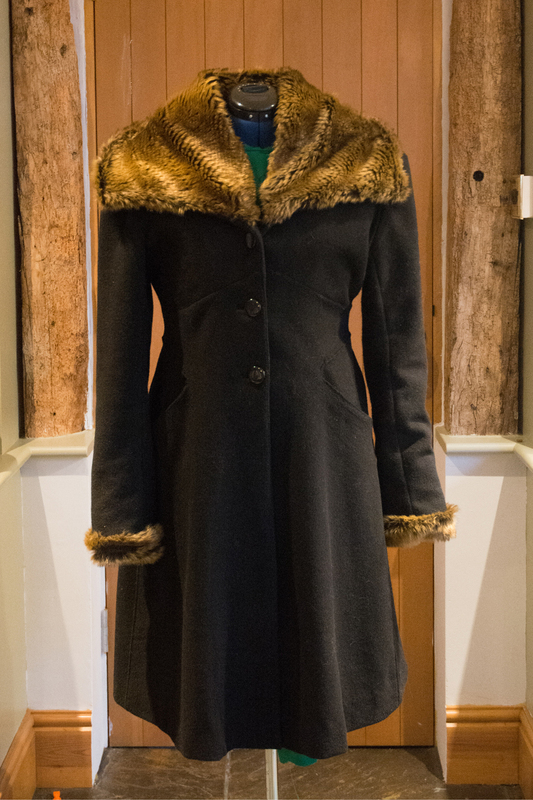 She thanks the girls at Stone Fabrics for getting the choice of fabrics right – we sent me loads of samples and Bess answered about 1000 questions she had! Here it is on the back. How cool is that?